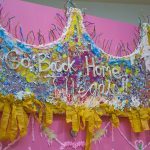 The most prominent piece in the University of Indianapolis’ “Herencia” art exhibition is a large wall adorned with pink paint and icing. 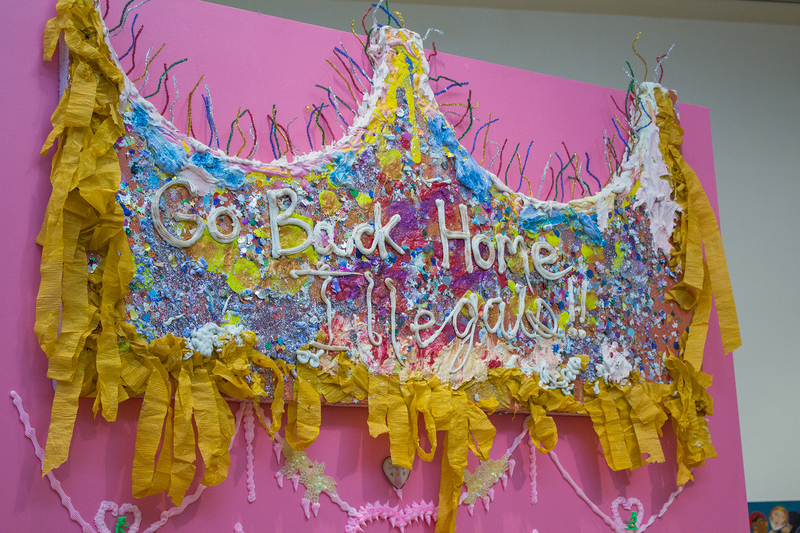 On one side, meant to represent the U.S. side of the U.S.-Mexico border, are the words “Go back home, Illegals.” On the other side of the wall is a slideshow of the poverty and drug wars ravaging the United States’ southern neighbor, adorned with images of drug lord El Chapo and soldiers, that wrap-around to the other side of the piece. 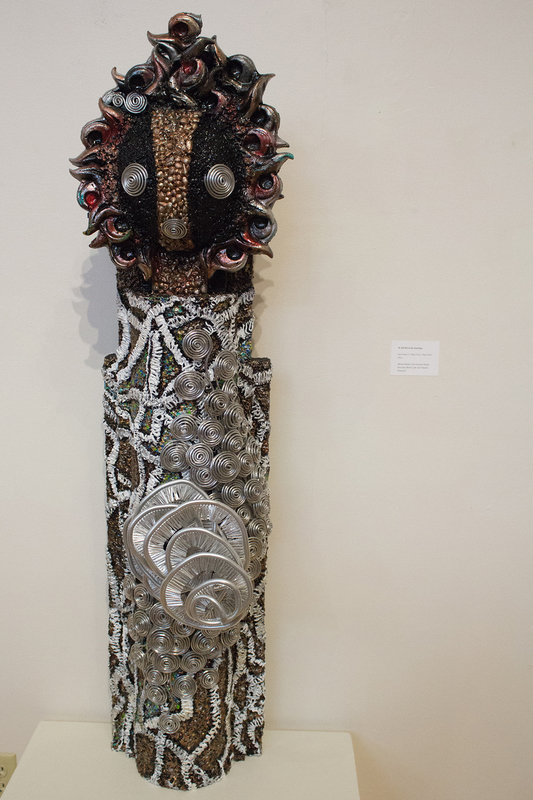 This work, “Really Safe in America,” by Yvette Mayorga, is one of many pieces contributed by Latin American artists for the “Herencia” exhibit, which showcases works by local, regional, national and international artists. 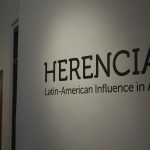 Latin American identity is the center of UIndy’s “Herencia” art exhibition, a varied display that opened to the public on Feb. 20. 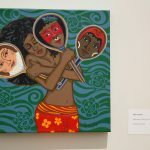 The exhibit features sculptures, paintings and performance art centered on the theme of Latin American culture within and outside of the U. S. The pieces portray a variety of subjects, including Latin American artists’ family dynamics, personal identities, indigenous roots and political beliefs. 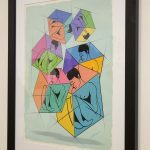 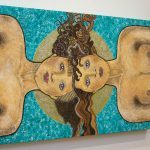 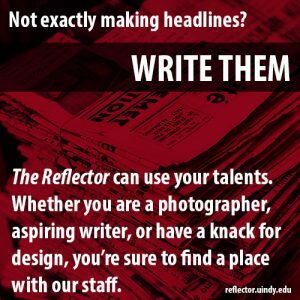 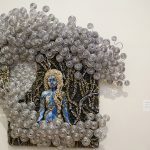 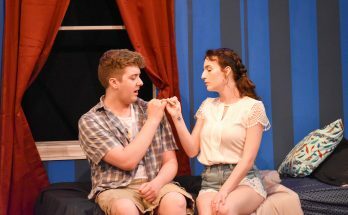 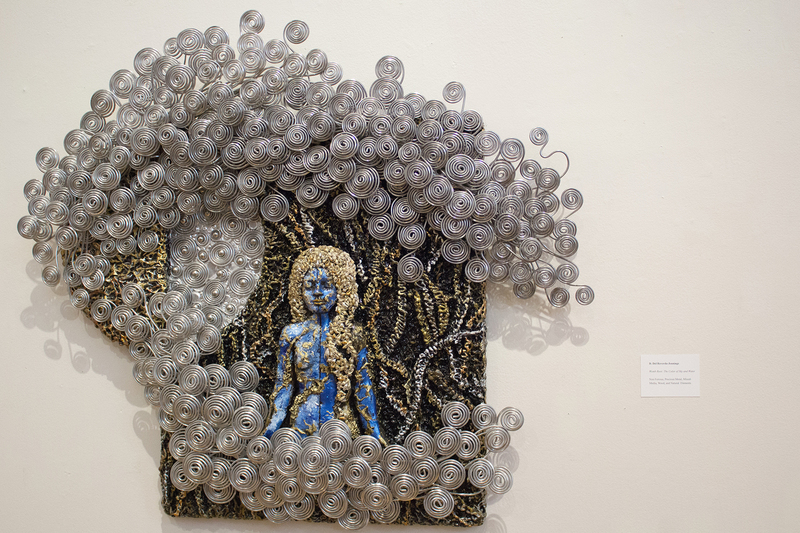 Gallery Coordinator Mark Ruschman said that although the university has no political affiliation, the themes of the gallery run parallel to “topics on everybody’s mind,” such as immigration and border policies. 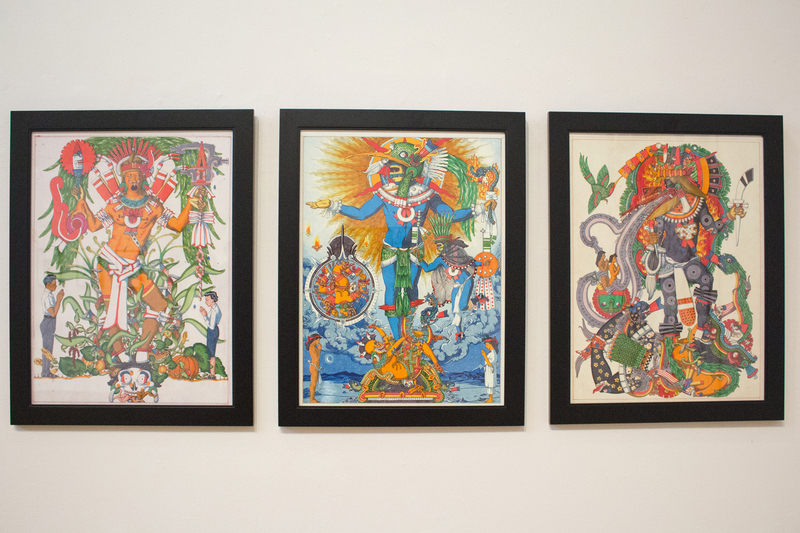 The pieces in the exhibition feature themes of identity, heritage, everyday life, stereotypes, politics and even satire. 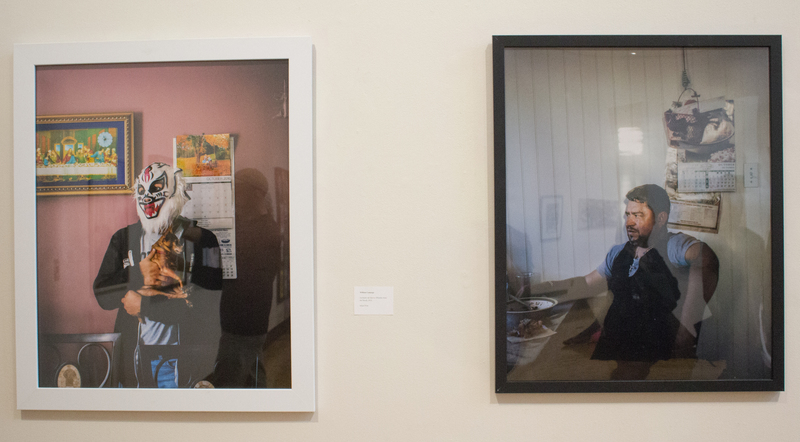 According to the UIndy website, the goal of the exhibition is to tell the story of what it means to be Latin American. 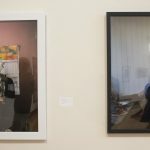 The various media displayed in the exhibit included works such as “Undocumented and Unafraid,” by William Camargo, an inkjet print of a middle-aged Latin American man and woman seated, unsmiling, on a couch beneath an image of the Virgin Mary. 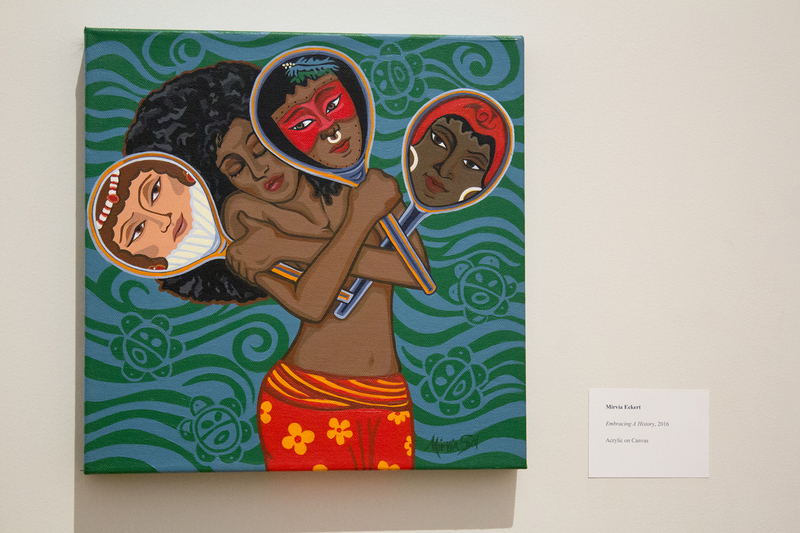 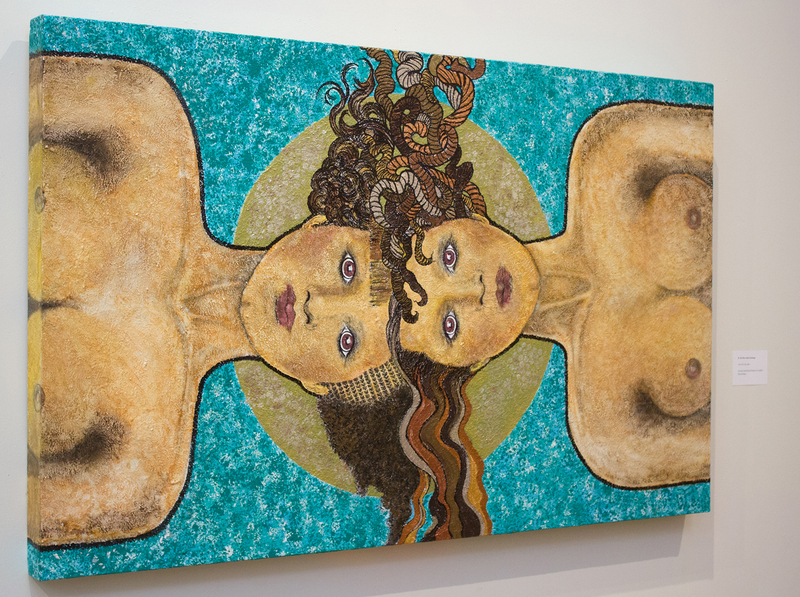 The acrylic on wood painting “Embracing the Past,” by Mirvia Eckhert, shows a woman holding three mirrors, each of which contains a separate ethnic identity found within her heritage. 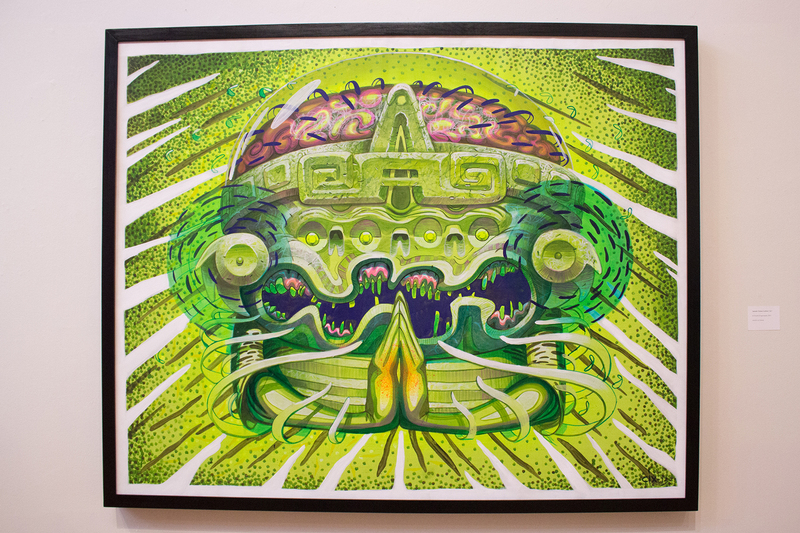 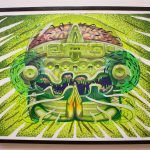 Continuing with the theme of the celebration of heritage, the digital print “La Muerte de Quetzalcoatl,” by David Gremard Romero, portrays an array of images associated with Latin American indigenous cultures. 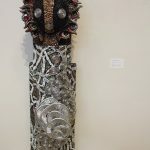 Curator Daniel del Real explained that pieces such as “La Muerte de Quetzalcoatl” indicate a resurgent interest in the native cultures of Latin America. 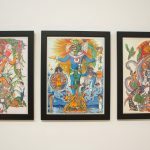 Del Real also spoke of how each of the works “have a different point of view” about Latin American identity in Indianapolis and the U.S. as a whole. 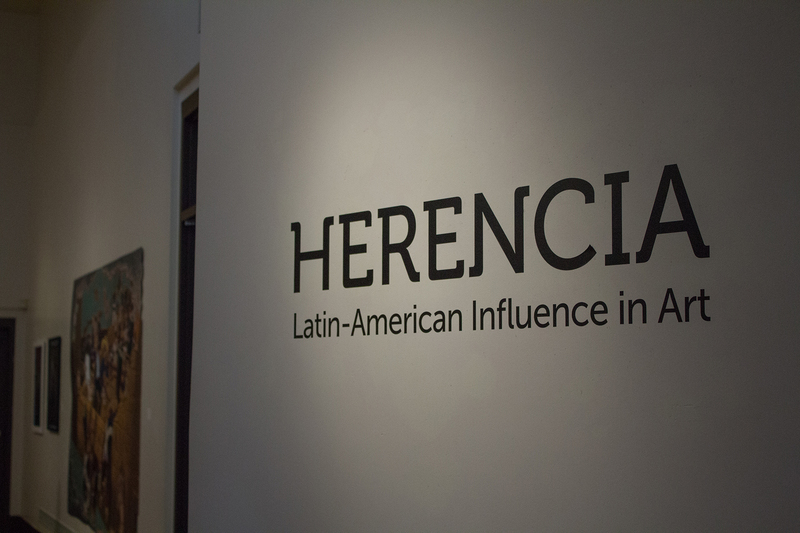 “Herencia” will be displayed in the Christel DeHaan Fine Arts Center Gallery from Feb. 20 to March 15. 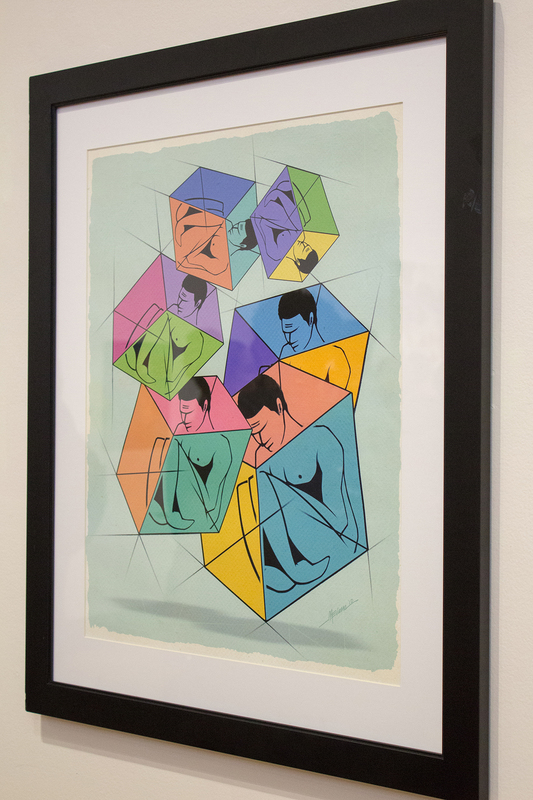 The next UIndy exhibition, “Art & amp; Design Juried Student Exhibition,” will be held from April 3 to May 6. 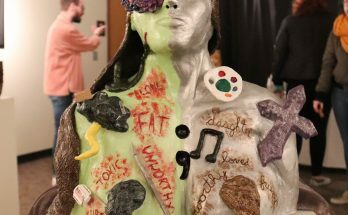 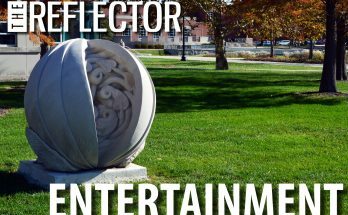 This annual event will feature art and designs by UIndy students.